I recently tried out this great copper cup from PureCopper. I love these new copper cups. I recently saw them on a design show where the designer was using them as the decorative piece in a kitchen, but I loved that they were usable. I am not the type to have extra items in my kitchen for decor, it needs to be usable! So I love these copper cups. I really like that after you use them they become aged and look worn. I love the look of them. The more worn the more interesting it becomes. Apart from the use of them as a decorative piece they also are great cups. The copper has a property that keeps drinks extremely cold for a long period of time. Mine lasts for hours! There is not any nickel, steel, or tin so you don’t have to worry about any negative chemicals getting into your drink. They are completely safe to use. We use ours all the time, it’s our main drinking cups in the kitchen. It also comes with a great set of recipes for mules. Which is an old Moscow tradition. I was unfamiliar with them but really loved some of the recipe ideas. I plan to make some soon for summer parties. PURE, SOLID COPPER – No nickel, tin, or steel! 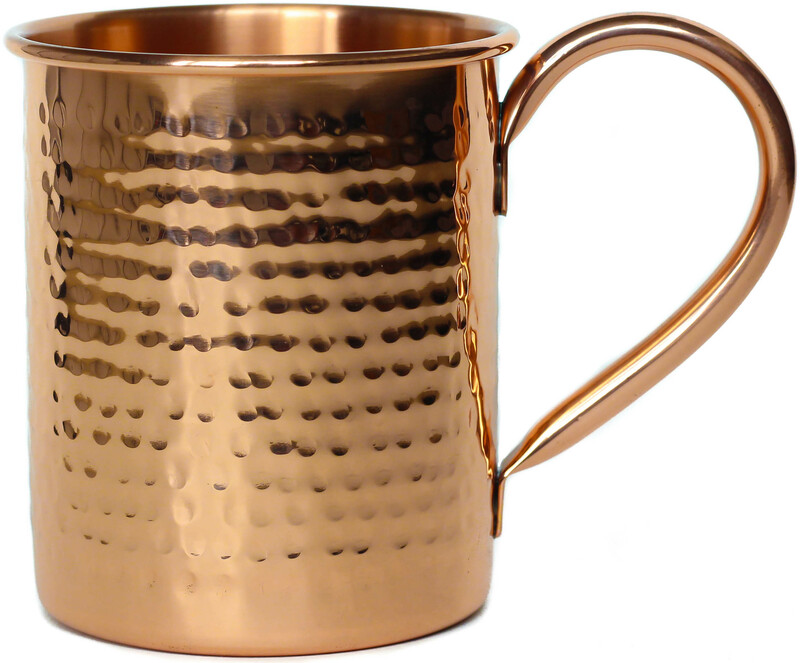 Our copper mugs are only PURE copper, as your mule deserves! Go for the real deal – get the full experience. GET HAMMERED – Each mug is carefully hammered to stunning perfection by hand. Thick walls and a classic 16oz size make this the perfect Moscow Mule mug! ICEY ICE COLD – An authentic copper mug frosts up in seconds! These mugs get COLD – REALLY cold. Super refreshing with a Moscow Mule! GREAT CUSTOMER SERVICE! – 100% LIFETIME GUARANTEE. Feel free to send us a question any time! BONUS RECIPE CARDS INCLUDED – We’re obsessed with inventing fresh new Mule-concoctions. Each mug includes a set of step-by-step recipe cards detailing our favorite Mule creations!